Congratulations, you have finally decided on a wedding theme and venue. You have decided on a Beach Wedding. Beaches can be among the most beautiful settings to have a wedding in. However, finding the right way to showcase the beauty of the beach and your wedding theme may not be the easiest thing to do. Just like any other wedding venue and theme, a beach wedding takes a lot of planning and dedication. 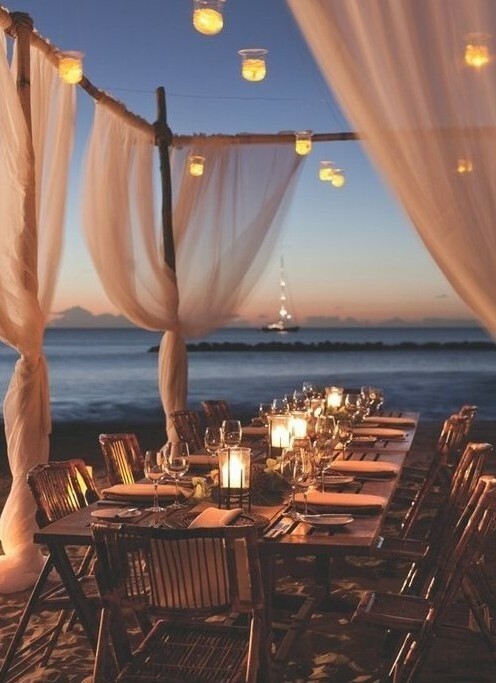 Although, planning a beach wedding may seem like a simple task it can become overwhelming to find the proper essentials you will need to make your wedding the magical day you have always dreamed of. For this reason we have decided to put together beach wedding essentials that you will need in order to plan. Those of us who dream of a beach wedding dream of a relaxing day at the beach in a beautiful setting surrounded by loved ones. However, that can all be quickly ruined if you do not have the correct permits. Yes some beaches don’t require permits but they may have size restrictions and tent restrictions not to mention other things to consider. We recommend getting into contact with the local government of the beach you would like to use. This will save you time and heartache as well as give you an idea as to what you will need to have the wedding you have always dreamed of. Unlike a reception hall or a restaurant that comes with already installed lighting. 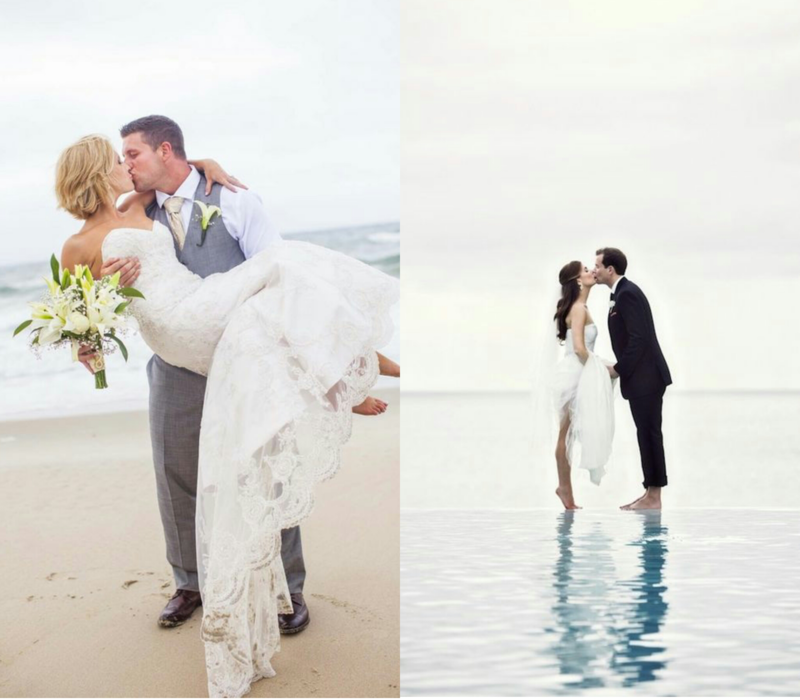 When it comes to a beach wedding, you will have absolutely no light but natural daylight. This can become a challenge as you will need to find a way to add the proper lighting to your wedding while still keeping the beach feel. The good news is sand is a great form of covering up pesky electrical cords that may have to hang around the floor. 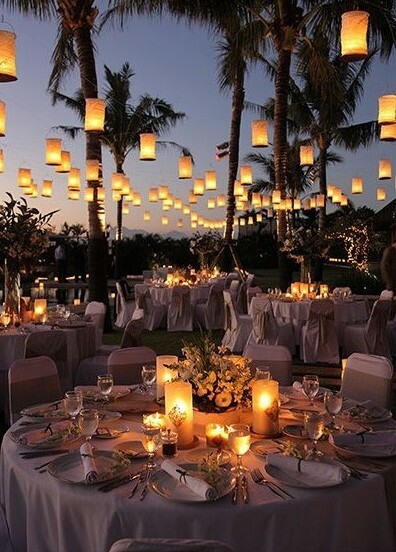 One way to add lighting to your beach wedding is by using lanterns or candles that will add personality and dimension to your wedding atmosphere. At a traditional wedding, you would have your footwear all sorted out. People arrive in formal attire with their shoes on and enjoy the rest of the evening. 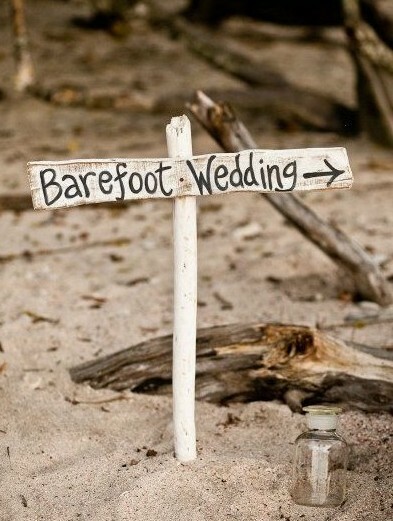 However, at a beach wedding your guest and you will have to get excited about experiencing sand between your toes. One way to enjoy the sandy moments is by offering your guest a shoe area where they would be able to remove their shoes if they chose to and enjoy the night. 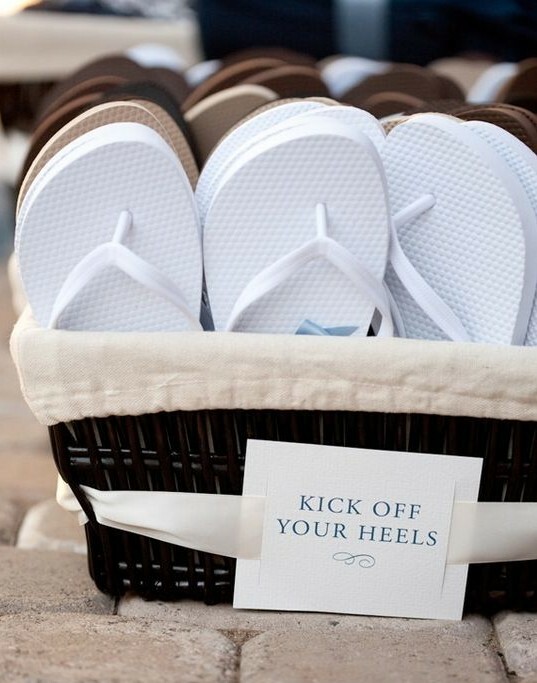 Or offering a flip flop station where there are flip flops for all the guest to change to once they arrive. For the bride and bridal party, it can be a great idea to wear barefoot sandals to keep their look bridal and put together through the entire wedding. When it comes to a beach wedding finding the perfect wedding dress can become a little bit more of a hassle as certain fabrics do not do so well in the beach wedding atmosphere. For example, thicker fabrics will not work for a beach wedding as it will become too warm for the bride. As well as heavier wedding dresses will not work neither because it can become very heavy for the bride to carry while walking on sand. We would recommend a light fabric and more simple fabric such as lace. Lace will allow the bride to travel freely among her guest and wedding party. Much like lighting wedding photos, your beach photos will require careful planning and thoughtfulness. The reason being that you will not have the built-in lighting that a ballroom or church would have. This may make taking candid photos a bit more difficult as your photographer waits for the sun to pass through the clouds. It is sometimes very favorable to take beach shots during the overcast morning hours, however for that soft glow which can be very hard to achieve with canned light. However, with a little bit of planning ahead you can achieve the photos you have always dreamed of and you may be surprised at how beautiful they can be without the direct sun. We recommend finding a location at the beach that is well lit with natural lighting and/or lighting that you may install. The key to great photos is always having excellent lighting and it doesn’t hurt to hire an excellent photographer as well. You want to make sure that you choose a photographer who understands natural light and has the right filters for his camera and be sure that he also has experience shooting a beach wedding successfully. 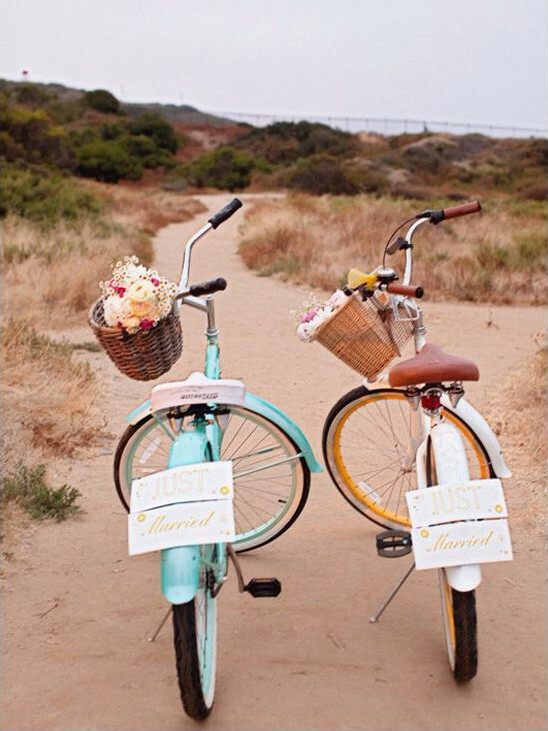 You may also want to take advantage of appropriate beach props and include your wedding party as well. Unlike having a wedding in a ballroom or banquet you will not have the luxury of having air conditioning or air ventilation at your wedding. Which may be somewhat of an inconvenience to your guests. For this reason it is important to prepare for the heat. 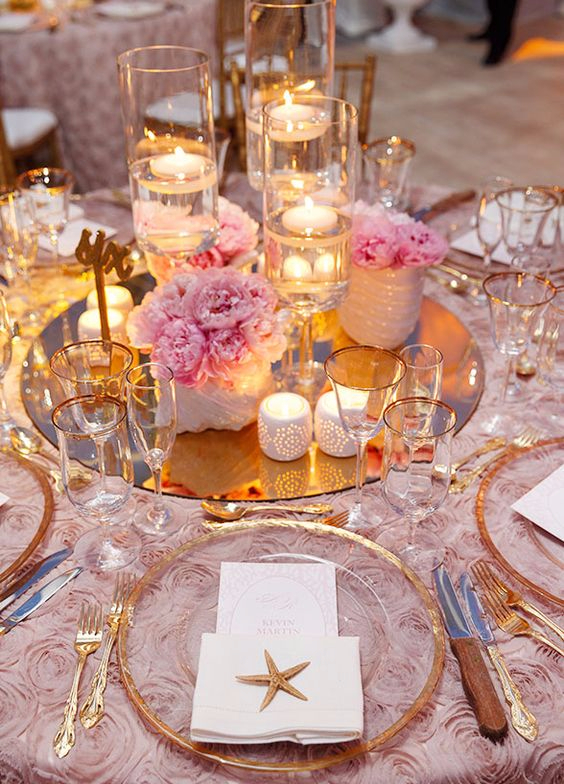 There are ways you can make your guests feel more comfortable without compromising your decoration or wedding theme. Having umbrellas at your wedding as part of your decoration can add a cooling shade while maintaining a contemporary look. You can also add woven fans to your guest seating. Woven fans will allow your guest to fan themselves whenever they feel the need to do so. If you are trying to find a way to maintain your wedding cool from the heat at all times you may want to consider a draped tent. A draped tent will keep your guests under shade the entire wedding while adding a mystical feel to your wedding theme, also consider boho tipis. When it comes to planning a beach wedding considering these essentials while you plan can save you a lot of time and headaches. 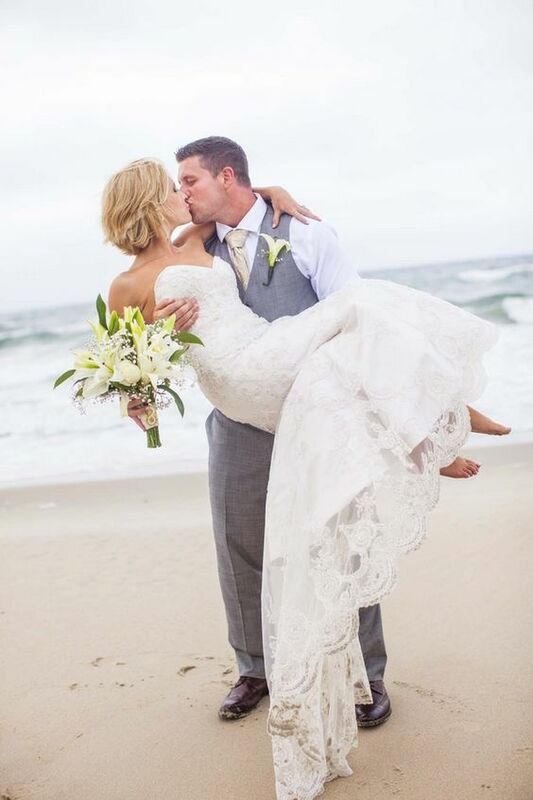 Have you planned a beach wedding? 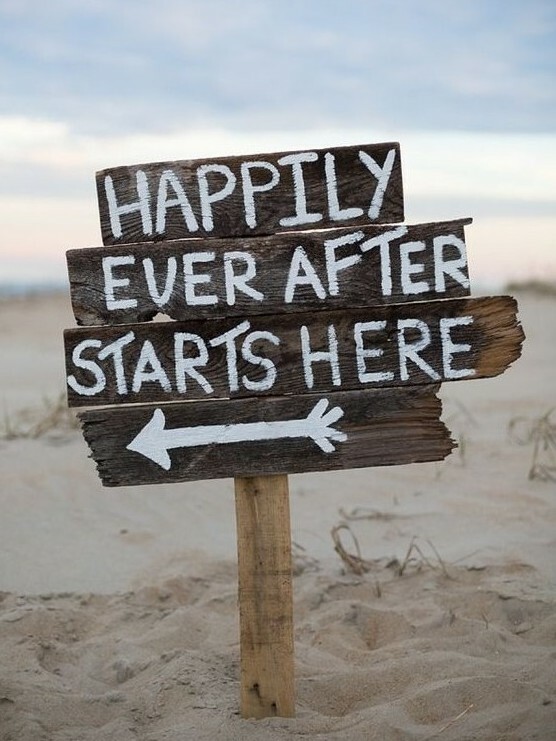 If so tell us below what tips would you give other brides that are planning a beach wedding.